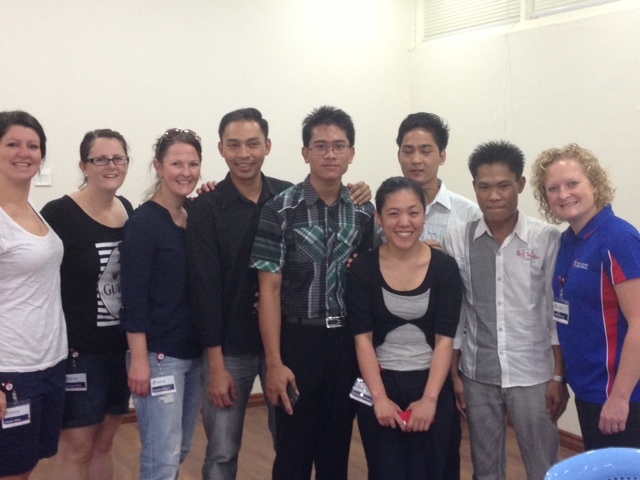 The team has arrived safely in Yangon, Myanmar, ready to begin the next adventure. 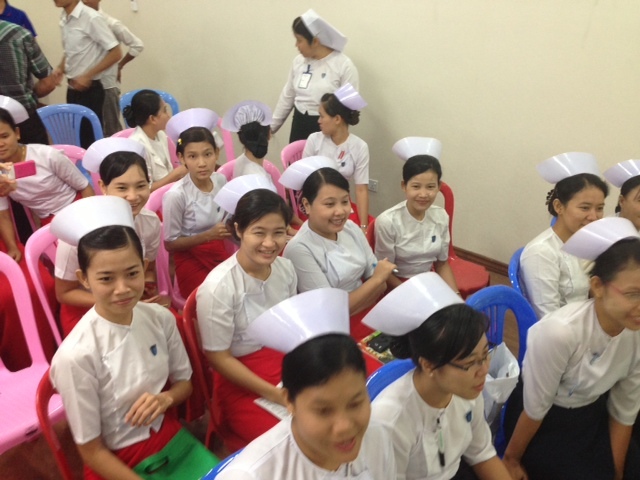 The past two days have been jam packed with education training for the local nursing staff and medical teams. There has been lectures, workshops and case scenarios to keep everyone busy. The local staff are very motivated and keen to learn which should make for an awesome week, working along side the local staff supporting their learning. The work of OHI in Myanmar is slightly different to other countries visited. 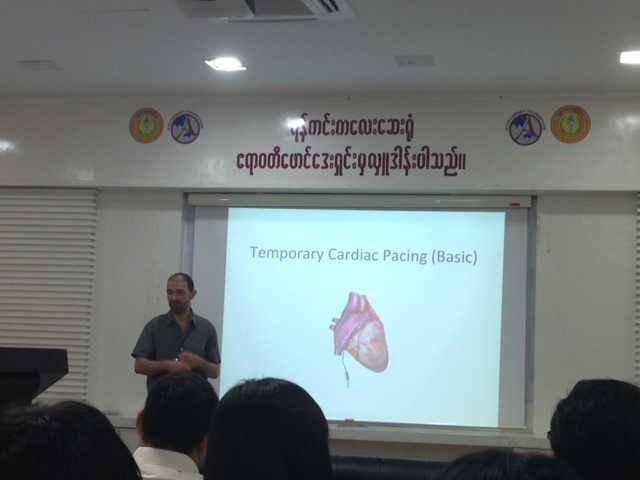 Myanmar already has cardiac surgery available, our goal is to enhance the skills of the local healthcare professionals. This is my first time to Myanmar and along with those new members of the team we are slowly getting used to the bustling streets, taxi trips and in the mean time trying to understand the road rules! We are adjusting to the humid conditions and enjoying the relief of the monsoon rain. One of our team members, Emily is currently working in Mongolia, the warm weather is a nice change from the freezing conditions back at home for her. The children were wide eyed when we met them today and gave us shy smiles and cheeky waves hello. Surgery starts tomorrow and the team is keen to get to work!